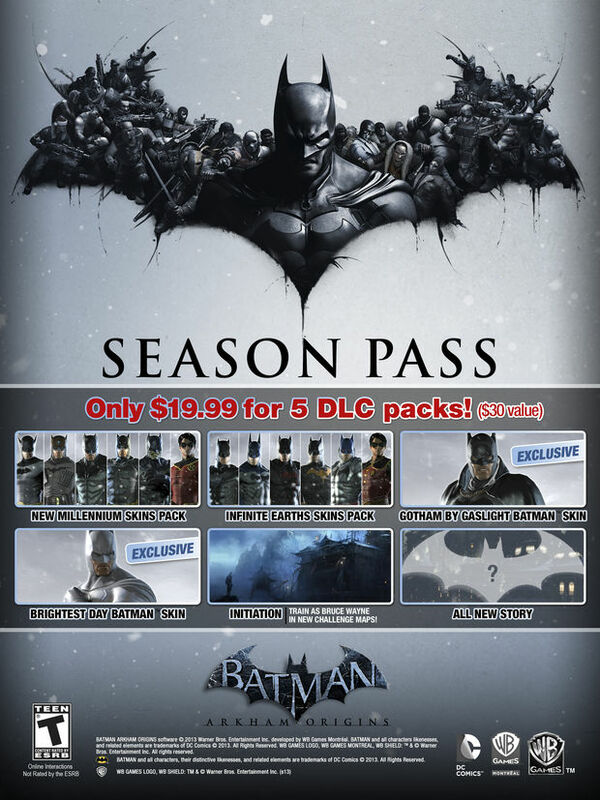 Batman: Arkham Origins will have a season pass. Yawn. For $19.99, you'll get these five downloadable content items: Gotham by Gaslight Batman skin plus Brightest Day Batman skin, new millennium skins pack, Infinite Earths skins pack, Arkham Origins Initiation, and an all-new story campaign. The Initiation content will see you playing as Bruce Wayne before he becomes Batman, facing his final test to prove himself against his teacher Kirigi. This sounds like it will be kind of fun. As for the rest of it? Really? More skins?